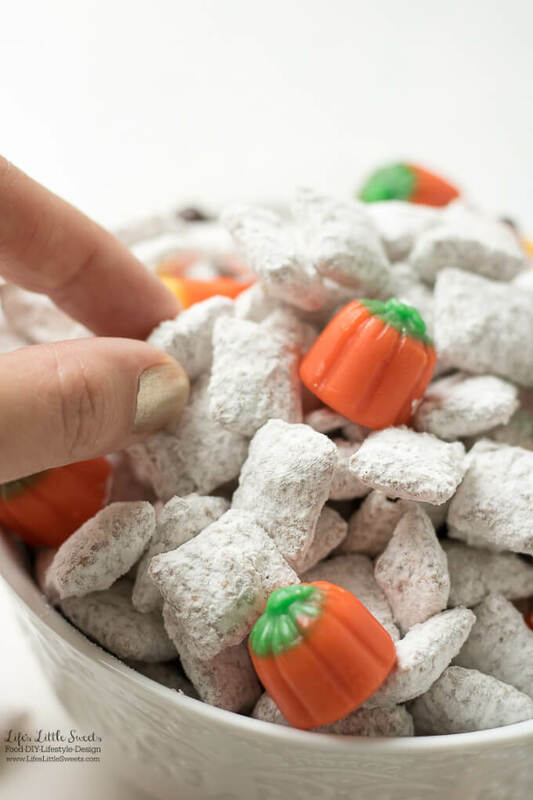 Hi Everyone, I have the perfect Fall snack for you: Homemade Pumpkin Spice Muddy Buddies. 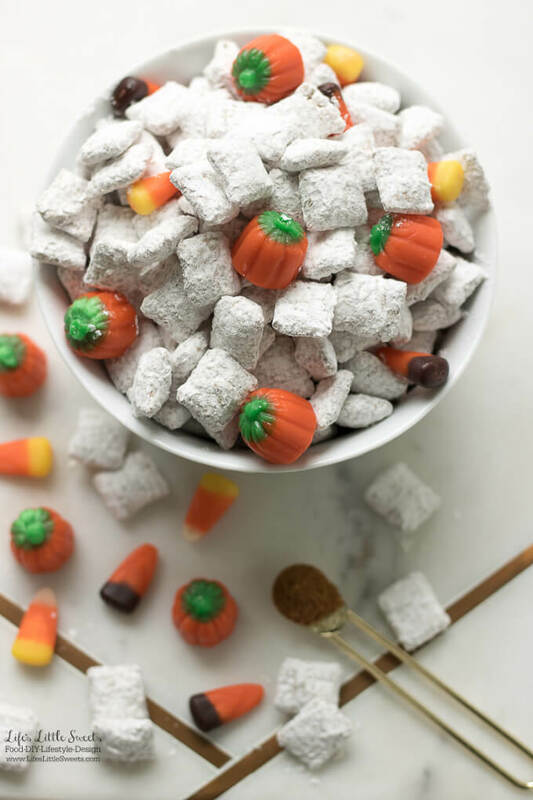 I used Brach’s Autumn Mix Mallocreme candy to adorn the top of the bowl and set off the theme of Fall and pumpkin spice. Are you a cereal “nut” like my husband Eric and I? 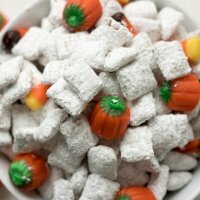 I realize that I love recipes that involve cereal since we eat it all the time in our house. 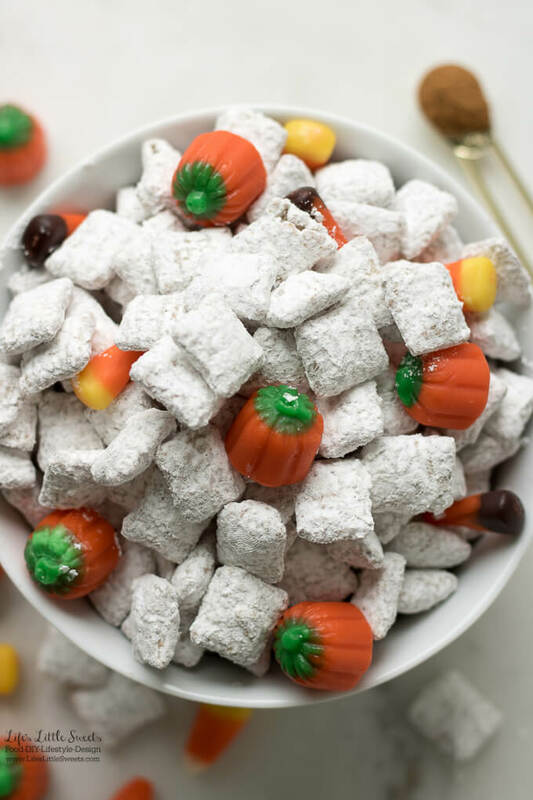 To see all of the cereal-inspired posts on LLS, visit here. 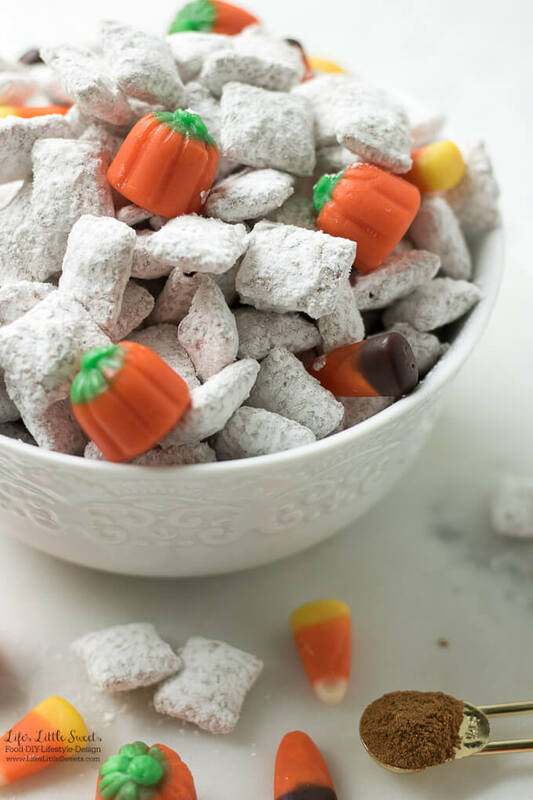 Who can resist a bowl of these Homemade Pumpkin Spice Muddy Buddies? 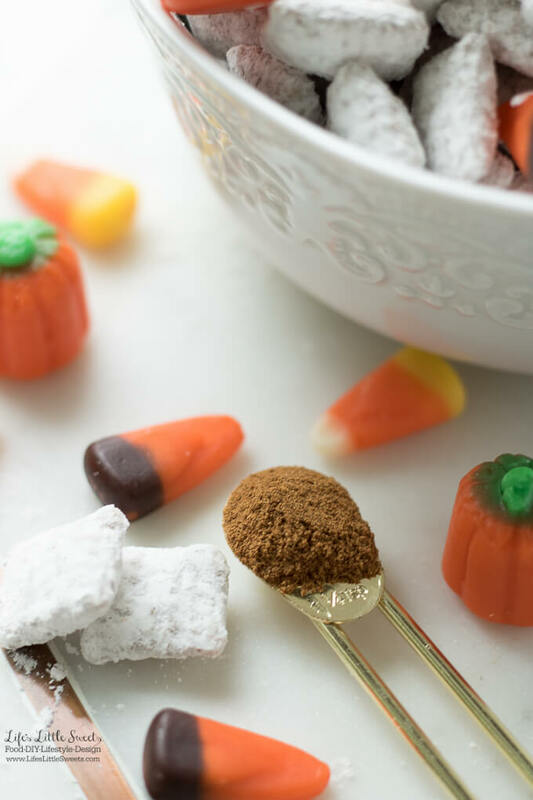 I know you will love these Homemade Pumpkin Spice Muddy Buddies! 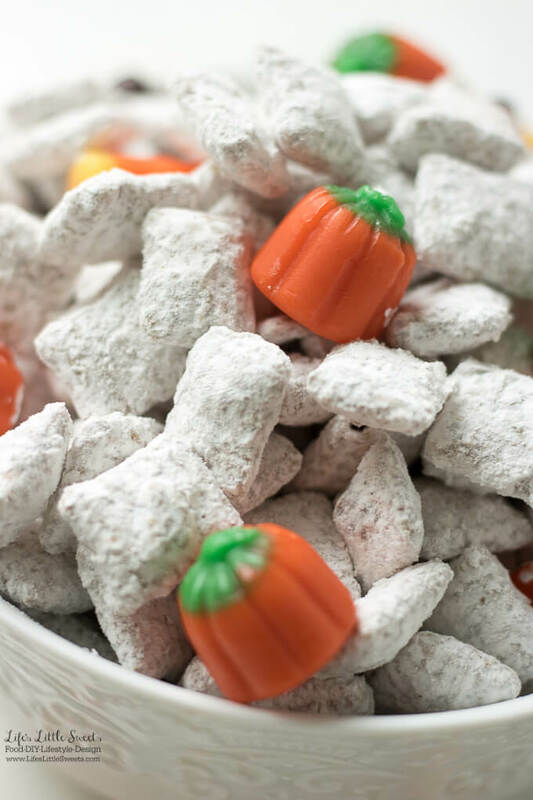 In a Dutch oven on the stove, melt the white chocolate chips and stir in the 1 tablespoon pumpkin spice mixture until combined. Remove from heat. 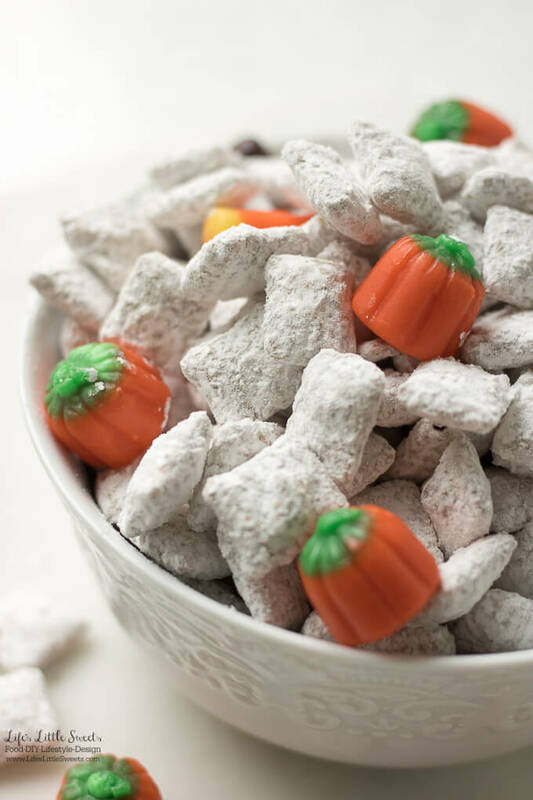 Stir in the 4 cups of plain Chex rice cereal gently until all the cereal is coated. 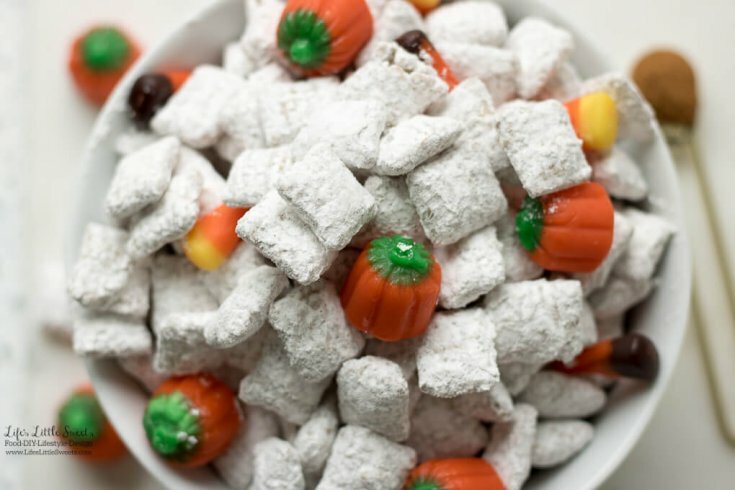 In a large mixing bowl, combine the 1 cup confectioner's sugar and the 1/4 teaspoon pumpkin spice mixture. 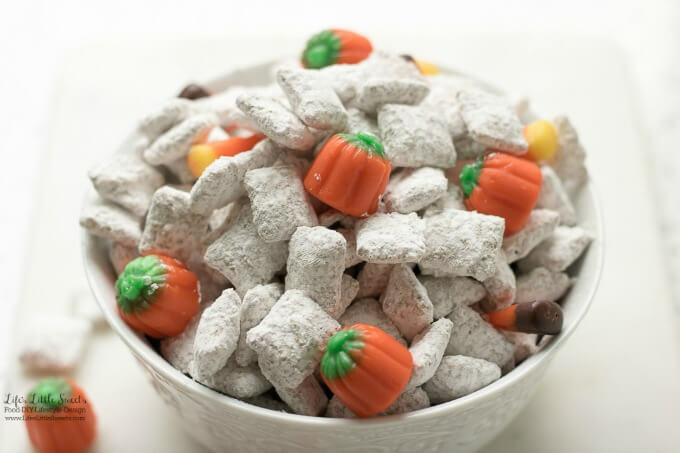 Add the coated Chex cereal and mix until combined. 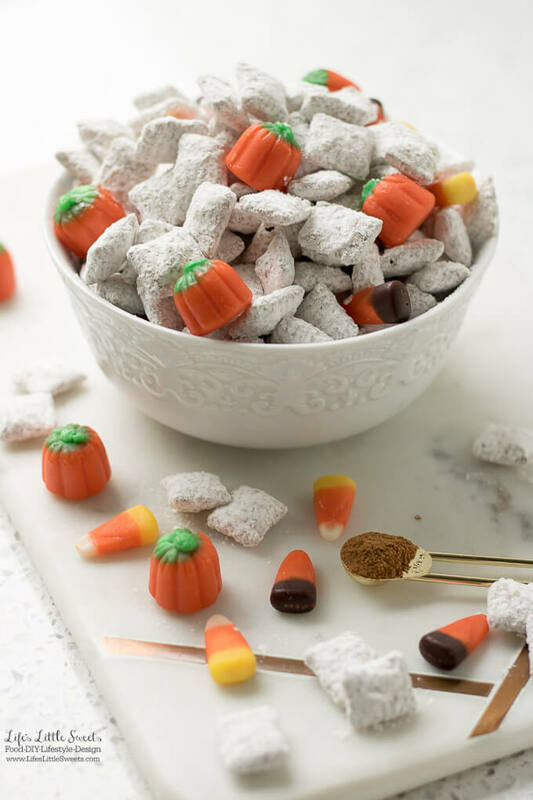 Transfer to a serving bowl and dot the top with the Brach’s Autumn Mix Mallocreme candy. Enjoy! 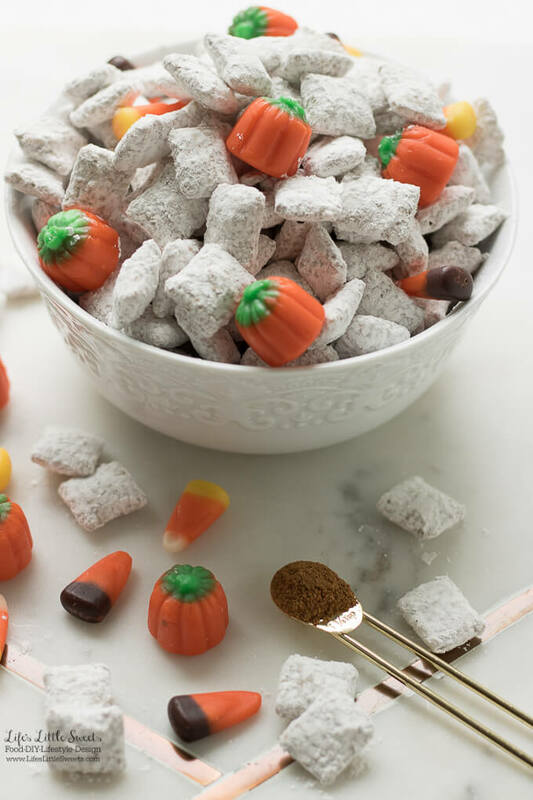 Alternately, you can use a large Ziplock bag to mix the cereal and confectioner's sugar-pumpkin spice mixture to cut down on the dishes.